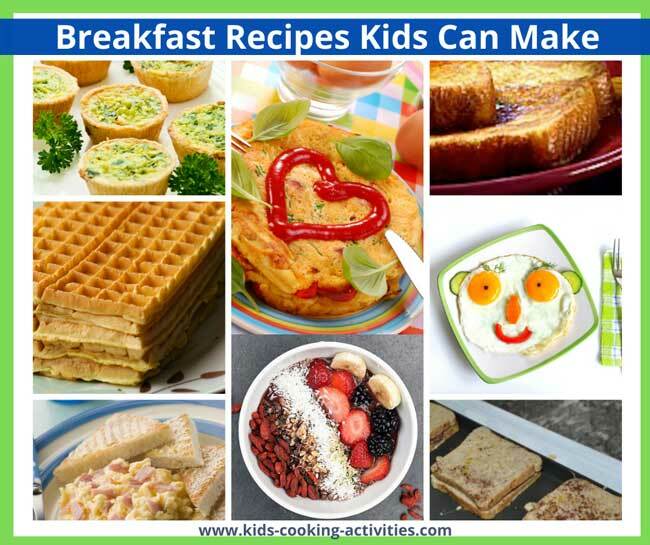 A compilation of easy recipes for kids to make for breakfast, lunch, dinner, dessert, snacks and vegetable dishes. See more breakfast recipes here. 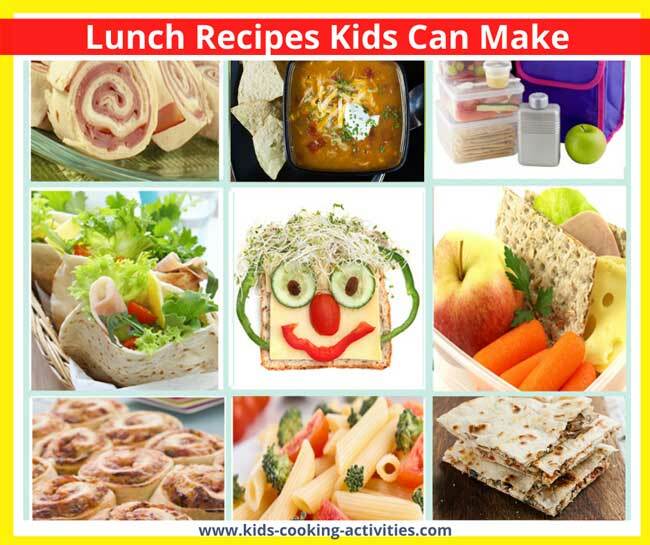 Find more Lunch Recipes here. 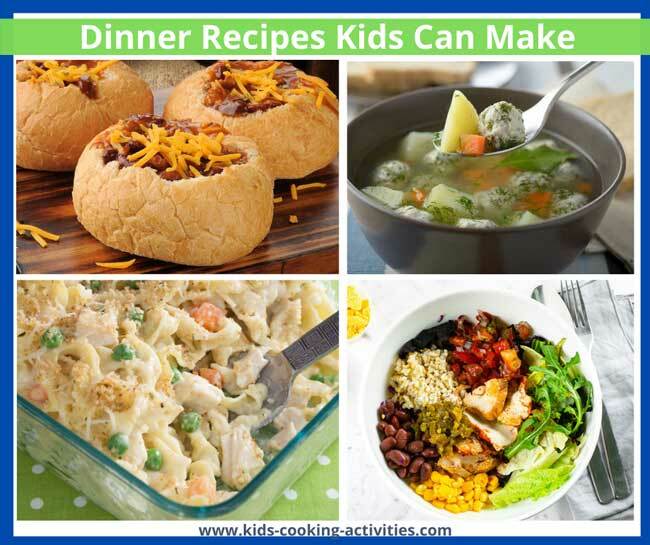 Try our step by step kids cooking lesson plans with age appropriate tasks. 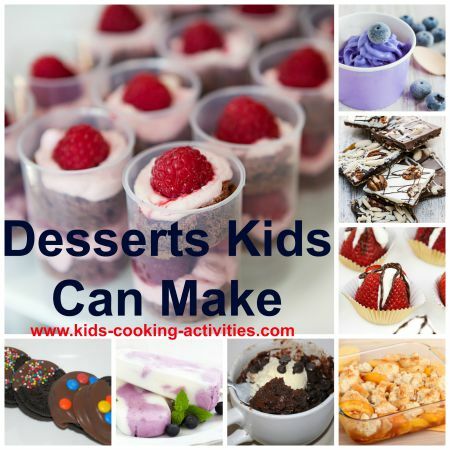 See our kids recipe index for more ideas. 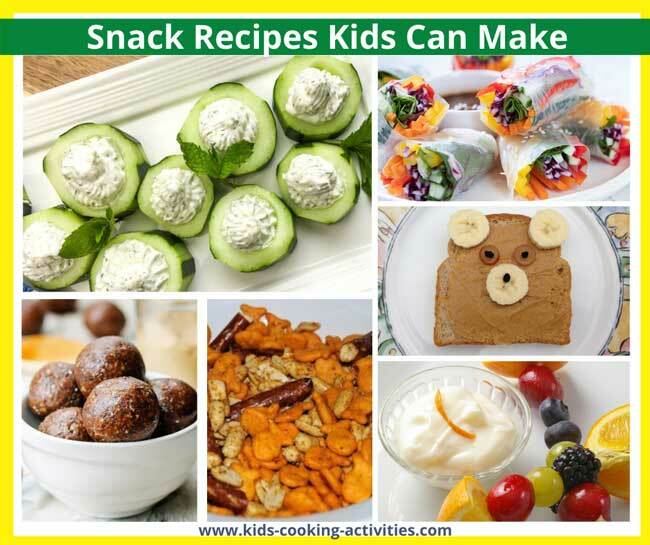 Here are more snack recipes and even more with 5 ingredients or less. 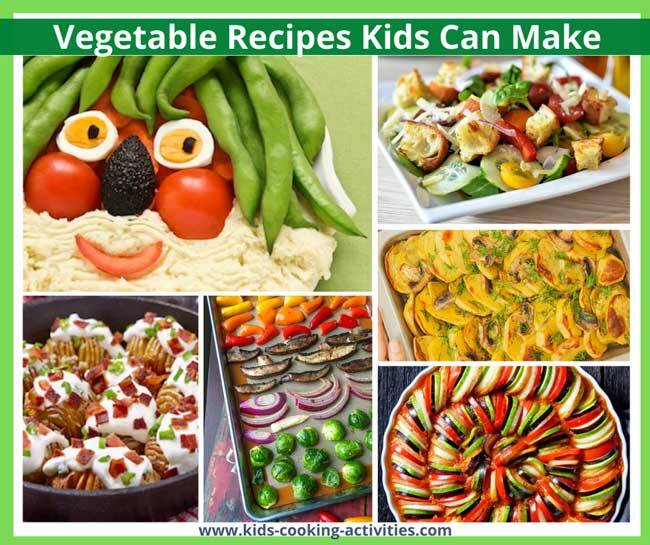 Try more Vegetable Recipes or see our Food Facts Pages.